Ah not a white guy, sighed a Kotaku commenter after seeing Sir Ben Kingsley as the Mandarin in the Iron Man 3 trailer. Kingsley, however, isn't simply "a white guy", and this isn't simply another example of Hollywood whitewashing an Asian character. Quick background: Kingsley was born as Krishna Pandit Bhanji in England to mixed race parents—a British mother and an Indian father. This is well known, and it's hardly a revelation to anyone who knows anything about the actor. Having mixed parentage can make questions of identity more complex than for those who do not. Some decide to pick one or the other to help define their identity. Others do not. Honestly, I don't know if Kingsley considers himself "white" or "Indian" (and, in turn, Asian). It's something that's very personal, based on his own life experiences, and something that cannot be answered in a Yahoo! question. Personally, I think it's a rude question to ask. He is, however, British. That's not a race, of course, but it is very much part of his identity. As a parent of mixed race kids, the issue isn't just a matter of appearances or race. It's also important how two different backgrounds can make one culturally mixed, something that I'd argue is also incredibly defining. Even if parents are the same race, but come from entirely different backgrounds (or different countries), it can create an entirely different experience for the children. Yet, Kingsley's character in Iron Man 3 is, as reader ZombiDeadZombi points out, half-Western and half-Chinese. Doesn't that mean the actor cannot play a character of Chinese background? If he plays Asian characters, should he only play Indian characters? Can we box ourselves in some more? Nobody should go into Iron Man 3 thinking that they're going to get an accurate portrayal of Chinese culture. If this movie somehow pulls that off with an insightful look at China, well, all the better. Moreover, Kingsley is, well, an actor. John Wayne never served in the military, but he made a career out of playing soldiers. Anthony Hopkins did a fantastic job bringing Richard Nixon to life, but he's not American. Sometimes, there's a fine line, however, between whitewashing and playing a character of a different background, between "playing war" and inspiring troops on the ground, and between doing an impersonation and touching the very soul of what makes an individual tick. White actors have an easier time playing white characters of different cultures, instead of characters of different races. The reason for this is a long legacy of painfully stereotypical and racist performances, such blackface or whitewashing of Asian characters. 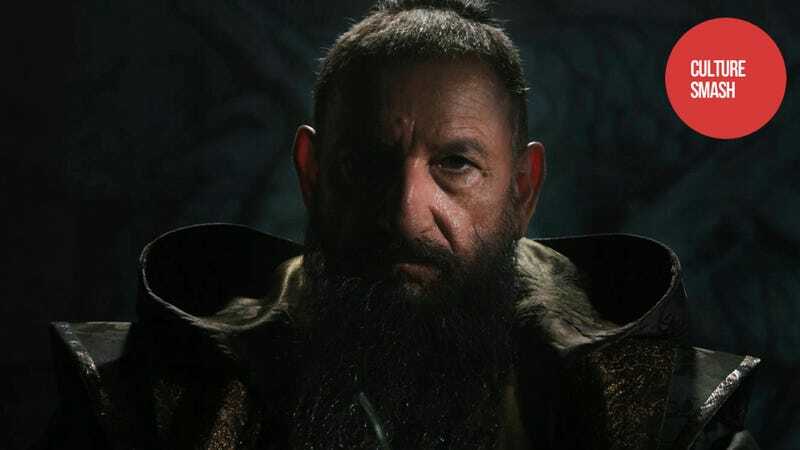 But, for the sake of argument, if Kingsley's not "whitewashing" the Mandarin, why isn't a Chinese actor, or an actor with Chinese background, playing the character? Iron Man 3 is a Chinese co-production. You'd think that finding a Chinese actor would be easy; there are loads of extremely talented actors in China. Sister site io9 has a great piece (you should read it) that explores the possible tensions of the movie featuring the Mandarin. He's a comic book character full of yellow peril baggage that director Shane Black calls a "racist caricature". Will one Iron Man 3 villain be cut out of the Chinese version? Perhaps by having Kingsley, who isn't Chinese, play the character, the production can, in a roundabout way, avoid depicting actual Chinese in a negative light when the picture is released in the Mainland. Hiring Kingsley could be a work around, a way to not only navigate and then sidestep the unfortunate trappings of character, but also bring him to life. It makes the character abstract. The character isn't really of Chinese descent, just as the actor isn't just a "white guy".